Land or Soil Pollution Slogans in English and Hindi - Best, Creative , Eye-Catching Slogans on Soil or Land Pollution in Hindi and English languages. Pollution is a great concern today we need to start and take part in activities that makes our earth free of all types of pollution. We are facing Air Pollution , Soil Pollution , Water Pollution and Noise Pollution problems today. Soil pollution is caused by chemicals or any other negative alteration in natural soil. Soil is very important to us. It is one of the great natural resources on the planet. It helps us to live on earth. No only humans but also plants and animals are also depends upon it to survive. It is the origin of life on the planet. It is important and deadly needed all over on the planet. Productive soil ensures availability of cereals , herbs , fruits , flowers on earth. Soil is helpful to grow crops. It is our duty to keep our land safe and pollution free. All the impurities , comes to the soil , ultimately effects us. Soil is polluted by chemical fertilizers, pesticides, industrial wastes, house hold wastes etc. All these impurities are killing the capacity of fertility of land. Soil pollution is a serious concern . The undesirable components are injected into the soil through polluted water , chemical availability and industries wastes. 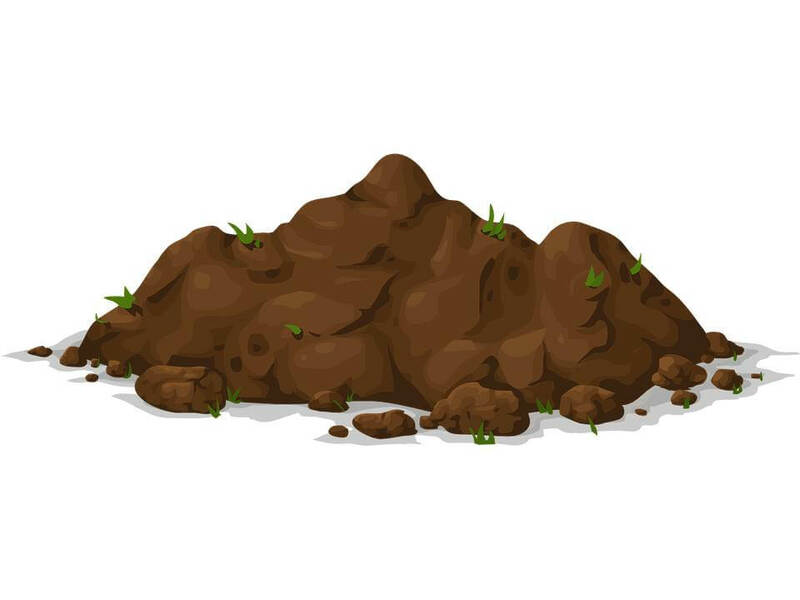 Polluted soil is that the cause of many health issues and it is affecting the natural life cycle disturbed. Polluted soil is unfit for the crop production. Increasing human population needs more resources like cereals and herbs. We are using artificial fertilizers to fulfill these needs. Soil pollution is reached to an extent , that is matter off serious concern. Main sources for the soil pollution are deforestation, forest fires, uncontrolled use of chemical fertilizers, pesticides etc. We need to control all these sources of soil pollution. In this post we will give you some of the Best Soil Pollution slogans . You can use these slogans in any anti Soil Pollution campaigns. We have collected slogans on soil pollution in English as well as Hindi Language . Right now this list contains 150+ slogans , however we promise to update this list each time we find any soil pollution slogan that is worth to add in this list. Keep sharing these slogans. A pure soil we need it. Always say no to soil pollution. Be the real human being and save natural resources. Do not hurt our land. Do not spoil the soil. Don’t be so much selfish; just think to save the land. Don’t mix readymade fertilizers into the soil, it is very harmful. Don’t pass soil pollution to the future generations. Don’t pollute the land, it provides you fertile soil to crop. Don’t spoil the soil, it will spoil you a day. Earth is getting polluted day by day. Earth is not a dustbin, don’t throw wastes into it. Earth is the only land where we can live, but still we are wasting it. Every action has reaction! We are polluting soil and it is polluting our healthy life. Fertile land is one of the beauties of nature, don’t pollute it. Fertile soil is the source of lives, don’t make it infertile! Find a solution for soil pollution. Give some solution to remove soil pollution. Go green before green goes! Just save the fertile land. God has gifted us good things but we are gifting pollution to our future generations. God is great, he already gifted us the fertile land but why we are destroying it. How greedy we are! We are polluting the land of earth, the only Planet to live. If you fear from God, have fear too for spoiling the nature’s property. If you spoil the land, where you will crop. It is good idea to make a team for soil pollution. It is hard to live with soil pollution. It is sin to make soil polluted. Join hands to say no soil pollution. Kill the soil pollution otherwise it will kill you. Land gives us all the means for our life but we are polluting it. Land is calling us for making it pollution free. Land is polluted by us many ways like water pollution , plastic pollution etc. Land pollution directly hits your health. Land pollution is most fatal to your health. Litter can make our life bitter. Don’t throw wastes to the fertile land. Lover your motherland and don’t pollute it. Motherland is nourishing us for years, don’t kill the Motherland! Must say ‘No’ to plastic otherwise the condition of land will be drastic. Natural fertilizers are safe, just be used to of it not readymade fertilizers. Nature is to nurture us however we need to care and maintain it. Never make mistake to make our earth look ugly. No land, no crop! How we will survive. No land, no life! Save soil from pollution. Please don’t dump the polythene and non-biodegradable things to the land. Polluted soil gives us polluted crops and many lethal diseases. Polluted soil is putting us in danger, raise your voice and do something! Ready made fertilizers are injurious to soil as well as health. Really, we have no sense and continue polluting the beautiful fertile land. Save the land to let the life continue on earth. Soil gives us so many crops but what we are giving it in return, Soil Pollution! Soil is for cropping not for submerging polythene and wastes. Soil is given to us for cropping but not for polluting. Soil is our mother , we should not pollute it. Soil is our second mother. We should not pollute it. Soil must be pollution free. Soil pollution is a curse for all. Soil pollution is a poison, killing us slowly through crops. Soil pollution is polluting our health through polluted crops. Soil pollution is polluting us! It’s time to be serious and act effectively. Soil pollution will produce bitter results. Stop littering the land before it stops giving crops. Stop Littering, The Earth is not your garbage can. Stop polluting the soil before it stops your breathe. The speed we are polluting out land, soon it will be completely polluted and leave no place to crop. This land is our land; save it from all types of pollution. Understand your responsibility towards nature. Just save the land. We are polluters of the soil, how shameful it is! We are polluting our motherland, the only fertile land in this universe. We are responsible for soil pollution. We are spoiling our soil by mixing it with ready made fertilizers. We get food from soil , why we are polluting it. We have air pollution, water pollution, and soil pollution everywhere. उपजाऊ मिट्टी जीवन का स्रोत है, इसे प्रदूषित न करें ! प्रदूषित मिट्टी हमें खतरे में डाल रही है, अपनी आवाज़ उठाएं और कुछ करो! मातृभूमि हमें वर्षों से पोषण दे रही है, मातृभूमि को प्रदूषित न करें ! मृदा हमें इतनी सारी फसल देता है लेकिन हम बदले में इसे क्या दे रहे हैं, मृदा प्रदूषण! हम मिट्टी के प्रदूषक हैं, यह कितना शर्मनाक है! If we want to live happily on earth with no soil pollution , we all need to be a volunteer of anti soil pollution campaigns. In this mission these soil pollution slogans will help you. You are free to share and use these Land or Soil Pollution Hindi slogans and Land or Soil Pollution English Slogans.